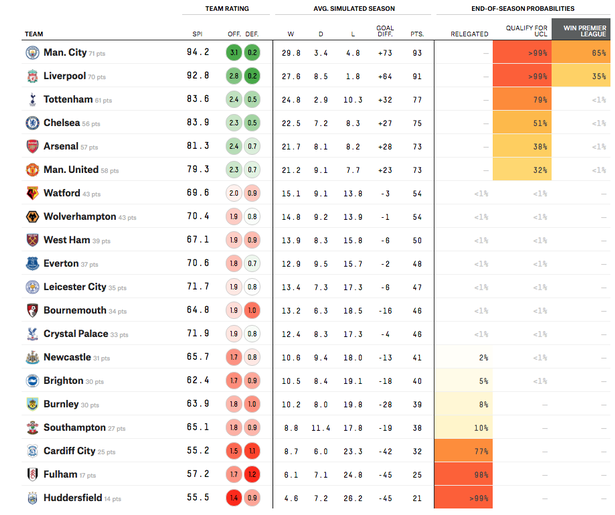 Final Premier League table & points totals predicted by data analyst – Interesting results for NUFC.. – NUFC blog – Newcastle United blog – NUFC Fixtures, News and Forum. According to world famous statistician Nate Silver’s blog Five Thirty Eight, Newcastle will finish the season in 14th place on 41 points. 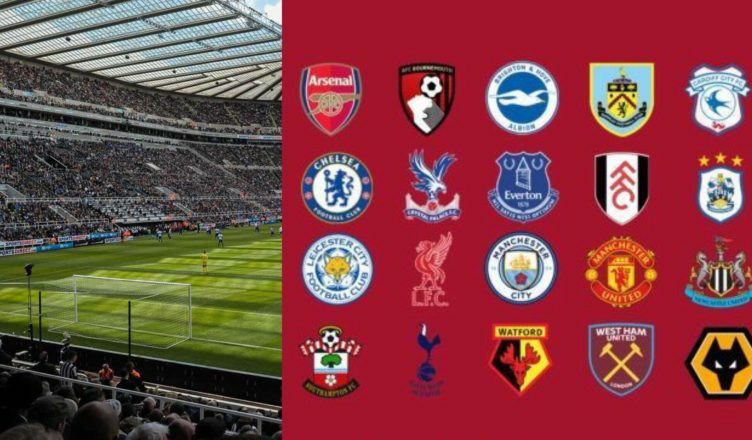 The results suggest we’ll pick up 10 points in our final 9 games of the season, stating we’d finish 9 points above the relegation zone – with them predicting for Cardiff, Fulham and Huddersfield to go down. Interestingly, this has Cardiff to go down in third bottom on 32 points – meaning, on this basis, we’d only need point or two over the next 9 games to stay up if this did turn out to be the Bluebirds final points total. Yes would be happy with that! However would the same computer have predicted Newcastle to beat Man City or Palace to win at Man City. In the real life football is all about 11 vs 11 (plus subs for both sides) it is not played by computer controled robots. There will be plenty shocks before the final whistle of every game. But I do believe we will be around 14th maybe higher!